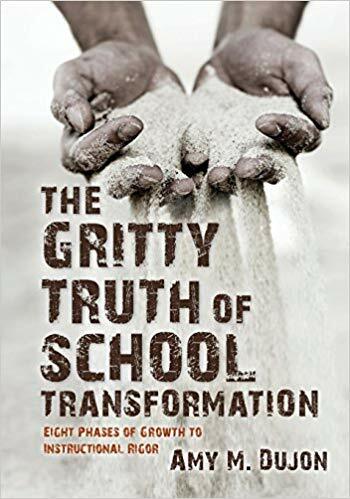 The Gritty Truth of School Transformation: Eight Phases of Growth to Instructional Rigor by Amy M. Dujon tells the story of how, as principal, she lead her school from one that was teacher-centered to one that is now student-centered with rigor. This is a book that every principal and teacher leader should read. It can also help parents become better teachers at home. Make sure that your school has a copy. The goal is to tease out what school leaders, in partnership with district leaders and teachers, can do to transform the instructional culture of their schools and to promote more rigorous learning. One discovery is that transformation needs to be sustained and not static and their vision is focused on the future. There is a concern about the defenders of the status quo and a recognition that traditional pedagogies are not likely to prepare students for the world they will enter. The concept of productive struggle is at the heart of this work. This means engaging in an effort, thinking, and learning that is just beyond one’s current ability. It is akin to the idea of deliberate practice (K. A. Ericsson, 2003). 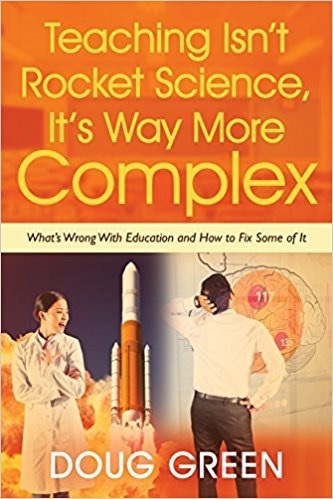 The goal is to stretch each aspect of learning capacity without having it be eclipsed by a focus on acquiring knowledge and completing tasks. Several chapters contain QR codes that take you to additional resources. The story here revolves around the school where Amy became principal in 2013. The demographics had changed and results declined. Traditional teaching that had been good enough needed to change. What was needed was second-order change rather than first-order change where teachers essentially went through the motions. Second-order change requires deep reflection, a substantive rethinking of philosophy and practice, and significant changes to school culture. The first key is to understand the importance of shared vision, mission, and core values. If you want to get at a root cause, try the Five Whys Protocol. The goal is to shift from instruction where the teacher does most of the talking and tells students what they need to know to one where the students talk to each other more as they make connections and draw conclusions. The idea of student autonomy is central here. To make this type of second-order change happen a leader needs to find and support first followers. These first followers will show others that the leader is not there to judge but to help them grow. This will attract new followers. One step in moving from teacher-centered instruction is to tell students only to raise hands to ask questions. You still need to know what they are thinking, but having one student give an answer doesn’t tell you much. As a leader, you will have to change too. Doing observations where you compliment a teacher on something and then give them something to work one should stop. Focus on what students are doing and if they are thinking. Try to be nonjudgemental. Focus public praise on changes in student behaviors and outcomes. Treat teachers and staff as equals or thought partners. This entry was posted on Wednesday, August 22nd, 2018 at 7:52 am	and is filed under Book Summaries, Education Books, Leadership Books. You can follow any responses to this entry through the RSS 2.0 feed. You can leave a response, or trackback from your own site.